Wanting to change things up with your workout gear and routine? 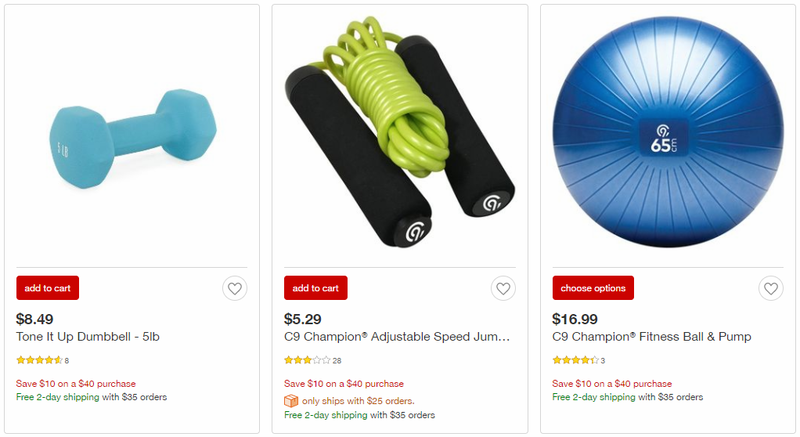 Target is offering $10 off your $40 purchase of fitness gear! Snag some weights, body bands, yoga mats, gloves, body roller and more. And you can save both in-store and online with this deal! If shopping in-store just text FIT to 827438 to save. Or if you prefer shopping online checkout all the items participating here.